JIRA Agile (formerly known as GreenHopper) is a plugin that adds agile project management to any JIRA project. It allows you to visualize your existing process and stimulate incremental improvement. JIRA Agile brings the power of agile methodology to Atlassian JIRA. 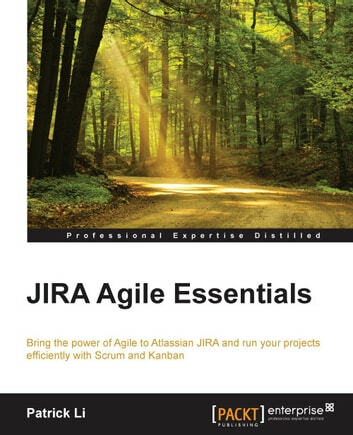 With JIRA Agile Essentials you will dive straight into the action, exploring critical agile terminologies and concepts in the context of JIRA Agile. 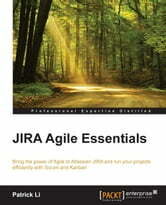 Learn to install and run JIRA Agile, and set it up to run with Scrum and Kanban. Collaborate with your colleagues to define requirements, create user stories, and manage and plan sprints based on the availability of your members. Create reports and share your project progress with other stakeholders. With this practical guide, you will develop a great working knowledge of JIRA Agile and make your project management much more efficient.